Costa qualified this as an important step towards the creation of a "fundamental rights space" in Europe. Secondly, the Russain Duma's acceptance of Protocol 14 to the ECHR a few weeks ago, which - and there is some news - the Russian Federal Council (the other branch of Russsia's legislative) also voted in favor of on Wednesday! Formal ratification will thus hopefully follow very soon. Thirdly, the upcoming Interlaken conference, which Costa labelled "a major challenge for the member States and an opportunity for the Court." The less positive backdrop of these developments is the ever-growing caseload of the Court, as Costa also acknowledged. He pointed out currently over 119,000 applications are pending. Accordign to hte press release, "over 57,000 new applications were allocated to a judicial formation in 2009 which was a 15% increase compared to the previous year. Over the same period, 35,460 applications were decided - 2,395 by judgment and 33,065 by an inadmissibility or strike-out decision; that represented an increase of 27% and 10% respectively in relation to 2008. As in 2008, 4 States (Russia, Turkey, Ukraine and Romania) were the source of almost 56% of the pending applications: in particular 28.1% of the cases were directed against Russia, 11% Turkey, 8.4% Ukraine and 8.2% Romania." This points to the need for icnreased country-specific legal cooperation by other Council of Europe institutions with these four states in order to improve domestic performance. The statistics can be found in full in the provisional edition of the Court's Annual Report 2009, which has also been made available online. Full video footage of the conference can be watched here. Tuesday, the Parliamentary Assembly of the Council of Europe elected Mr Guido Raimondi He has been elected for a six-year term of office and will replace Vladimiro Zagrebelsky, who in March will be reaching the age of 70 - the age-limit for ECtHR judges. He has been a judge at the Court since 2001. According to the Court's press release, Mr Raimondi was born in 1953. A member of the judiciary, he has worked in particular in the Diplomatic Legal Service of the Italian Ministry for Foreign Affairs. He is currently Legal Advisor to the International Labour Office and head of the ILO’s Legal Services. Mr Raimondi has been appointed ad hoc judge of the Court by the Italian Government in a number of cases. Ein umfassender und effektiver Schutz der Menschenrechte kann nur durch eine sachgerechte Interpretation der Menschenrechtsverträge gewährleistet werden. Die Wissenschaft und die internationale Gerichtsbarkeit haben hierfür spezifische Auslegungsmethoden entwickelt. Die Autorin untersucht die Interpretationskriterien, die zwei internationale Gerichtshöfe in ihrer Rechtsprechung verwenden. Sie analysiert die Auslegungsmethodik des EGMR und des Interamerikanischen Gerichtshofs für Menschenrechte. Die Studie richtet sich insbesondere an Völkerrechtler. Last December the Parliamentary Assembly of the Council of Europe (PACE) held a hearing on the Interlaken process entitled 'The future of the Strasbourg Court and enforcement of ECHR standards: reflections on the Interlaken process'. The conclusions of the chairperson of that hearing, Mrs Herta Däubler-Gmelin, have just been made public. The summary of the hearings conclusions give a good insight in how frank and direct the discussion was among the participants: single-judge procedures are labelled a "fig-leaf that maintains the legal fiction of a judicial determination of all applications." And someone also raised the option of punitive sanctions against the most notorious ECHR transgressing countries. The text of the contribution of the the Secretary-General of the Council of Europe can be found here (in French). 1. These conclusions are presented under four distinct headings, to reflect the manner in which the hearing was organised, even though such a sub-division is somewhat artificial. The conclusions are not a verbatim record or a detailed overview of all issues raised at the hearing. Instead, I have decided to focus on what I perceive to be the most important points raised in discussions (and in documents made available to Committee members). 2. Why did I propose to the Committee a hearing on this subject? There were two reasons for this. It struck me as rather odd that the Assembly had not been involved in any of the substantive discussions or in meetings leading up to the conference. Also, it appeared to me that the title of the conference – “The Future of the European Court of Human Rights” – was too narrowly circumscribed, suggesting that problems facing the Court should be our primary concern. Our hearing dispelled this misunderstanding: the conference must also urgently address domestic (non-)implementation of Convention standards and determine how best to ensure prompt and full compliance with Strasbourg Court judgments – as our best hope to help stem the flood of applications submerging the Court. 3. When circulating the draft Interlaken Declaration, the Swiss authorities specified that the declaration should pursue three objectives: (i) reaffirm a commitment to the ECHR system (including the right of individual application), (ii) express support for the Strasbourg Court to act autonomously in its initiatives to increase its own efficiency, and (iii) put on track in-depth reform to guarantee the long-term efficiency of the system of individual complaint. This Declaration, together with an eight-point Action Plan, is presently the object of consultations with member states (draft text available on the Committee of Ministers’ Chairmanship website www.interlakenconf.admin.ch). But how, and exactly upon whose authority, and in whose name, have these priorities been established and would they be implemented? I note, in this connection that – as yet – the potentially key role of national legislative organs and of the Assembly is not alluded to. 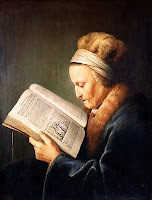 • considering that the Court is financed through the Council of Europe’s budget, state contributions are totally inadequate, not to say pathetic (several states’ contributions to the Council of Europe’s budget do not even cover – or only barely – the salary of a single judge on the Court!). 5. The authority of the Strasbourg Court is contingent on the stature of judges and the quality and coherence of the Court’s case-law, which certain states have put into question. The most eminent jurists in member states with relevant experience should be encouraged to leave flourishing national careers, preferably in their late 40s, 50s and early 60s, to serve in Strasbourg. When national selection procedures are inadequate, the Assembly’s hands are tied; often candidates are good, but not outstanding. If the findings of the Strasbourg Court are to be recognised as authoritative by their peers at the domestic level, the Assembly must be in a position to elect top quality judges. 6. The sheer volume of applications needing attention in Strasbourg has led to unacceptable delays which prevent judges from concentrating on their principal judicial task in dealing with cases that merit priority consideration. In this sense, quality and effectiveness are jeopardised by workload. The Strasbourg Court’s Registrar provided us with alarming statistics. By the end of 2009, the Court will have received almost 57,000 new applications, an increase of 14%. On the side of output, the Court will have rendered judgment in more than 2,000 cases, an increase of more than 20% compared to 2008. But the backlog has reached almost 120,000, with a deficit of 1,800 applications every month. When analysing the Court’s problems, we were informed that a small number of states dominate the Strasbourg Court’s backlog: Russia represents nearly 28%, Turkey 11%, Ukraine 8.6% and Romania 8.3%. These four states together represent roughly 57% of the backlog. If one takes the ten high case-count states, the backlog comes to 77% (adding Italy, Poland, Georgia, Moldova, Slovenia and Serbia). Indeed, in 2008, 86% of the Court’s judgments (1,543 in total) concerned just 12 states. 7. Another factor to be taken into account is the very high number of repetitive applications before the Court, deriving from the same structural problems at the domestic level, some of which have remained unresolved for many years. Over half of the judgments concern repetitive applications. The registrar estimated that there are probably about 20,000 such cases in the Court’s backlog. In 2008 70% of the Court’s judgments concerned breaches of the Convention in repetitive or clone cases. 8. To these statistics can be added information about late (and non-)execution of Strasbourg Court judgments. The number of cases pending before the Committee of Ministers at the end of 2000 was 2,298, while the equivalent figure for 2009 was 8,614, of which 80% concern repetitive cases. This too, is unacceptable. 10. The root causes of the Court’s workload and increasing backlog have to be eliminated. All meritorious cases, even if mostly repetitive, must be dealt with by the Strasbourg Court. There are no easy solutions, and in this respect reference can be made to ideas mooted, in particular, in the CDDH Opinion and by the Secretary General in their contributions to the Interlaken Conference. But should we embark, already now, on yet another major (internal) reform of the Strasbourg Court? Is there an imperative necessity to create within the Court an additional judicial filtering body, as advocated by the German authorities and others? Why cannot this be done by a “chambre des requêtes” composed of (a rotating pool of) existing judges? Could not such work be undertaken by ad litem judges taken from within the Court’s registry and/or states’ judicial corps? Should we not wait to see how the “pilot judgment” procedure develops? And what about the introduction of the system of “astreintes” (a fine for delay in performance of a legal obligation) to be imposed on states that persistently fail to comply with Court judgments (see Assembly Opinion No.251 (2004), paragraph 5)? Could one not consider, for example, the utility of imposing a small court fee to discourage potentially hopeless applications being addressed to Strasbourg? 11. There exist no miracle solutions to the difficulties confronting the Strasbourg Court if we are to maintain its dual role of ensuring common European human rights standards and individual supervision and adjudication. Tinkering with such controversial issues as the compulsory use of the Court’s official languages or compulsory representation by a lawyer might simply divert precious time and energy from other essential work. 12. These two subjects were dealt together at the hearing; both touch upon issues in relation to which we parliamentarians – in our dual capacity as national legislators and members of the Assembly – have a crucial role to play. They also concern the “principle of subsidiarity”, in that states have primary responsibility to prevent human rights violations and to remedy them when they occur. 13. National parliaments can and should ensure the compatibility of draft laws, existing legislation and administrative practice with Convention standards, and in particular possess “specific mechanisms and procedures for effective parliamentary oversight of the implementation of the Court’s judgments on the basis of regular reports by the responsible ministries” (Assembly Resolution 1516 (2006), paragraph 22.1). For present purposes suffice to recall work we have been undertaking on this subject since 2000, the hearing we had in November 2009 on “parliamentary scrutiny of ECHR standards” (highlighting the effectiveness of parliamentary procedures in the United Kingdom and in the Netherlands), and the fact that too few parliaments have, to date, set up appropriate oversight mechanisms to ensure the rapid and effective implementation of Strasbourg Court judgments. 14. The Strasbourg supervisory mechanism is “subsidiary” in nature. States are responsible for the effective implementation of the Convention and it is the shared duty of all state organs (the executive, the courts and the legislature) to prevent or remedy human rights violations at the national level. This is principally, but not exclusively, the responsibility of the judiciary. Hence the logic of putting into place an effective human rights complaints mechanism at the national level, which would diminish the risk of the Strasbourg Court acting as a fourth instance appellate jurisdiction. Witness the small amount of complaints, comparatively speaking, that reach the Strasbourg Court from Spain and Germany. Appropriate domestic remedies, intensive training of lawyers, prosecutors and judges, the creation of a human rights culture and the impregnation of the Strasbourg acquis within national state structures – especially with respect to the “big sinners” (see paragraphs 6 to 8 above) – would help stem the flood of applications to the Court. Thus, well-functioning national human rights protection mechanisms might make superfluous the idea of creating a separate filtering body within the Strasbourg Court and shift back primary responsibility to national legal systems, where it belongs. 15. One subject of particular significance, discussed at the hearing, was the need to enhance the authority and direct application of the Strasbourg Court’s findings in domestic law. Rather than refer to the erga omnes effect of Grand Chamber judgments of principle, it is probably more accurate to refer to its interpretative authority (res interpretata) within the legal orders of states other than the respondent state in a given case. Here, I have in mind the United Kingdom’s 1998 Human Rights Act, Section 2 § 1 of which specifies that national courts “must take into account” Strasbourg Court judgments, and Article 17 of Ukrainian Law No.3477–IV of 2006, which reads: “Courts shall apply the Convention [ECHR] and the case-law of the [Strasbourg] Court as a source of law”. This subject merits special attention in Interlaken. “In order to ensure the long-term effectiveness of the Convention system, the principle of subsidiarity must be fully operational. This should be the central aim of the Interlaken Conference” (CDDH Opinion, § 9, my underlining). 17. As this is my last contribution to the work of the Parliamentary Assembly, I allow myself one final observation, namely the need for the rapid accession of the European Union to the European Convention on Human Rights. This would guarantee a coherent Europe-wide system of human-rights protection, reinforce legal certainty and provide greater protection of individuals’ rights. The Treaty of Lisbon assures a legal basis for EU accession, and the imminent entry into force of Protocol No.14 to the Convention will provide the legal basis on the Strasbourg side. 18. Then, rather than enter into an institutional agreement – entailing many years of negotiation –, a “memorandum of understanding” could be quite quickly agreed between the EU and ECHR states parties by mid-2010, and accession foreseen soon afterwards (with practical details as to the participation of the EU in the Convention system being settled separately in parallel). If we are not inventive in deciding how best to deal with EU accession to the Convention, we will be confronted with the prospect of a long, protracted process of 47 individual ratifications on the Council of Europe side. * A. Mowbray, Crisis measures of institutional reform for the European Court of Human Rights, pp. 647-656. * P. Londono, Developing human rights principles in cases of gender-based violence: Opuz v Turkey in the European Court of Human Rights, pp. 657-667. * M.L. Vermeulen, 'Living beyond death': torture or other ill-treatment claims in enforced disappearances cases, pp. 159-198. * A.C. Buyse, A legal minefield: the territorial scope of the European Convention, pp. 269-296. * H. ten Napel, The European Court of Human Rights and political rights: the need for more guidance, European constitutional law review, vol. 5, no. 3 (2009) pp. 464-480. * J. Dute, European Court of Human Rights, European journal of health law, vol. 16, no. 4 (2009) pp. 367-379. * Elisabeth Lambert Abdelgawad, The Execution of the Judgments of the European Court of Human Rights: Towards a Non-coercive and Participatory Model of Accountability, Heidelberg Journal of International Law, vol. 69, No. 3 (2009). The Court has just issued its second Advisory Opinion ever, entitled 'On certain legal questions concerning the lists of candidates submitted with a view to the election of judges to the European Court of Human Rights'. The questions at issue arose from the fact that Ukraine had withdrawn its list of three Court candidates, after one of the three had indicated to be no longer interested for personal reasons. The withdrawal of the whole list took place after the deadline set for submission by the Parliamentary Assembly (and after the two remaining candidates had already been interviewed). In its Advisory Opinion the Court considered that such a withdrawal could take place as long as the deadline set by the Parliamentary Assembly had not yet passed, but not afterwards. Thus in the present situation this means that Ukraine will only be allowed to furnish a new candidate to replace the person that has withdrawn, but the other two names will remain the same ones as on the originally submitted list. The Court's Opinion supports the stance taken by the Parliamentary Assembly itself in its dispute with Ukraine. See the Advisory Opinion itself to trace the very peculiar sequence of events in this Ukranian nomination issue. This Friday the Court will issue its second Advisory Opinion ever. It was requested by the Committee of Ministers (to be precise, their deputies) last year and concerns the following question: "whether a list of candidates for election as a judge in respect of a particular State, which the State in question has already submitted to the Parliamentary Assembly of the Council of Europe, may be withdrawn and replaced with a new list, for example where one or more candidates withdraw before the Assembly’s vote." The immediate reason were problems with the lists submitted by Ukraine. See my earlier posts here and here. The Russian Duma has ratified Protocol 14 today (a majority of 392 votes out of 450). The other branch of the legislative, the Federation Council, now has to accept it still. Following protracted negotiations it will now be guaranteed for Russia that a Russian judge will always sit in any Court Committee or Section of judges issuing a judgment on the merits in applications against Russia. For years the ratification by Russia and thus - since it was the last state needed - the entry into force of the reform Protocol 14 to the ECHR. 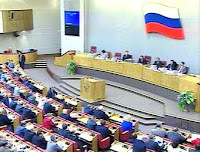 In 2006 the Duma refused ratification, amongst others according to several deputies because the Court was issuing politically motivated rulings. When Protocol 14 finally enters into force a single judge will be able to decide on the admissibility of applications and a panel of three judges to rule on most cases. This raise in efficeincy will come just before the newest attempt to raise the Court's effectiveness, the upcoming Interlaken conference. Good news! It has just been made public that the International Four Freedoms Award 2010 will be granted to the European Court of Human Rights. This annual award was created to honour the Four Freedoms, as first declared by President Franklin Delano Roosevelt on January 6th 1941 in an address to the American Congress: freedom from want, freedom from fear, freedom of religion and freedom of expression. The European Court of Human Rights will receive the award for its contribution to the protection of individual human rights in post-war Europe in the past half century. Since its founding in 1959 the Court has decided more than 10,000 cases on the basis of the principles laid out in the European Convention for the Protection of Human Rights and Fundamental Freedoms of 1950. The principles of this Convention include the right to a fair trial and a condemnation of discrimination and can be traced to the Universal Declaration of Human Rights and Franklin Delano Roosevelt’s Four Freedoms. The European Court for Human Rights offers citizens an accessible tool to strengthen an effective democracy and reinforce a constitutional state. The Court effectively applies the principles of Roosevelt’s Four Freedoms in the contemporary world. The Freedom of Speech and Expression Medal will be granted to the Russian weekly Novaya Gazeta, for their resolute commitment to freedom of the press, the Freedom of Worship Medal to human rights activist and UN-rapporteur for freedom of religion Dr. Asma Jahangir from Pakistan, the Freedom from Want Medal to Maurice Strong from Canada, in recognition of his role as a foremost spokesman regarding global environmental concerns and the principle of sustainability, and the Freedom from Fear Medal to Gareth Evans former Foreign Minister of Australia and recently retired Chair of the International Crisis Group, headquartered in Brussels. Gareth Evans career is reflected in the significan role he has been assigned in preparation for the UN negotiations of the nuclear non-proliferation agreements. Congratulations to the Court and to all the victims of human rights it has helped to find justice! Surely, this is an impetus to continue its good work, towards Interlaken and beyond. Find more information on the website of the Four Freedoms Awards. This note is motivated by a basic premise: Governments must be held accountable for creating refugee flows. There are over nine million refugees in the world today who have been persecuted at home and forced to seek asylum abroad. The human cost of this massive upheaval and migration is incalculable. By definition, refugees have a well-founded fear of persecution in their home country based on their fundamental beliefs or characteristics. Refugees flee persecution, armed conflicts, and brutality. In their new host countries, refugees face numerous challenges adapting to new cultures, languages, and environs while separated from family and social support networks. Just a very short notification to report that the Court decided today that the United Kingdom's stop and search powers for the police are too wide and that no adequate safeguards against abuse exist. The Terrorism Act 2000 permits any uniformed police officer to stop and search anyone for items which could be used for terrorism, even in the absence of any reasonable suspicion. These powers are used thousands of times a year. In the case of Gillan and Quinton - about a journalist and a protester on their way to an anti-armsfair protest being stopped and searched in 2003 - the Court held unanimously that Article 8 had been violated. The photo is of a painting by the famous graffiti artist Banksy. Yesterday, the European Court passed a landmark judgment on human trafficking in the case of Rantsev v. Cyprus and Russia. The case concerned the death of Oxana Rantseva and was brought by her father. Oxana moved from Russia to Cyprus and started to work as a 'cabaret artiste', as one of thousands of women coming to Cyprus. It was widely known that these 'artistes' were in practice mostly working as prostitutes. Within a few weeks she left the place where she worked, but was traced by her employer who brought her to the police with the aim of haiving her detained and extradited, so that he could employ someone else. The police noted that she was not illegally staying in Cyprus, but had a work permit and made her go back with her employer. Later that night, she tried to escape from the apartment where her employer was keeping her and in doing so fell of a balcony and died. In spite of the mysterious circumstances of her death, the context of possible human trafficking was never looked into by the authorities. The Court considers that the spectrum of safeguards set out in national legislation must be adequate to ensure the practical and effective protection of the rights of victims or potential victims of trafficking. Accordingly, in addition to criminal law measures to punish traffickers, Article 4 requires member States to put in place adequate measures regulating businesses often used as a cover for human trafficking. Furthermore, a State’s immigration rules must address relevant concerns relating to encouragement, facilitation or tolerance of trafficking. Whereas in Siliadin, the Court had focused on the positive obligation to penalise and prosecute acts of slavery, servitude or forced labour, it broadened its approach here - in line with explicitly mentioned other internatinoal instruments on human trafficking such as the Protocol to Prevent, Suppress and Punish Trafficking in Persons, especially Women and Children (“the Palermo Protocol”), supplementing the United Nations Convention against Transnational Organised Crime - to two other aspects: positive obligations to prevent trafficking and to protect victims. 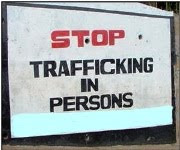 If the authorities are aware of a situation of human trafficking or of the real risk that an individual will get into such a situation, it is obliged to take appropriate measures. This includes a procedural obligation to investigate situations of potential human trafficking and to cooperate with the investigations of other state parties. This goes for both states of origin, transit and destination. Cyprus had violated Article 4 in mutiple respects, including the obligation to operate an effective administrative framework to prevent trafficking in general and the obligation to take protective measures in the case of Ms Rantseva in particular. Russia had violated Article 4 ECHR by failing to investigate the alleged trafficking and its potential start in Russia itself, once the Russian authorities had become aware of Ms. Rantseva's case. In addition, under Article 2 ECHR (right to life) the Court found no violation of article 2 in its substantive aspect, since the chain of events leading to Oxona's death could not have been foreseen by Cyprus. The investigation, however, contained so many flaws that many of the aspects of the case remained opaque. Nor had Oxona's father sufficiently been involved in the investigation. The Court thus found a procedural violation of Article 2. As to Russia's responsiblity, the Court emphasized that the corollary of the duty to secure evidence from other relevant countries during the investigation, had as a corollary that such countries should, within their means and competence render such assistance if requested. This is also a novel clarification of the Convention. In this case, Russia had done more than it was expected to, whereas Cyprus had not even asked Russia for assistance. Thus no violation under Article 2 was found against Russia. Finally, the Court found that Cyprus had violated Ms. Rantseva's right to liberty. This was obvious concerning her detention at the police station, even if short, for which there was no legal basis. But the Court also found, that the forced stay of Oxona Rantseva at the apartment violated Article 5, since the authorities had failed to observe their positive obligation to protect her from arbitrary detention by a third party. In this case, within a known context of the cabaret artistes situation on Cyprus and her particular case, and by handing her over to her employer instead of letting her go by herself from the police station, they had acquiesced in her loss of liberty. The fact that she did not openly protest was irrelevant for the Court. The judgment not only represents a milestone in the combat against human trafficking, but more generally elucidates state obligations in the battle against transational crime. It is commendable that the Court through its verdict offers new yardsticks to assess state performance in this respect. To read the report by Interights on the case click here. This NGO also submitted a third pary submission to the Court, which can be read here. Even the Wall Street Journal reports on the case; click here. Just before Christmas the European Court of Human Rights issued a very important Grand Chamber judgment in the case of Sejdić and Finci v. Bosnia and Herzegovina. The two men complained of their ineligibility to stand for election to the House of Peoples and the Presidency of Bosnia and Herzegovina because of their Roma and Jewish origin. The Bosnian Constittuion, which was drafted as part of the very complex Dayton Peace Agreements in 1995, confines the possiblity to be elected to these top state institutions to those who declare themselves to belong to the Serb, Croat or Bosniac (i.e. Muslim) people. So called 'others', to whom Sejdić and Finci themselves belong can be elected in parliament, but not in the two aforementioned institutions. The case is legally rather simple in the sense that the discrimination in the Bosnian constitution - outright exclusion of certain groups on the basis of declared ethncity- is tantalizingly clear. Indeed the Court had no qualms in finding violations of both the right to stand for election (Article 3 of Protocol No. 1 ECHR) in conjunction with the prohibtion of discrimination of Article 14 ECHR in regard to the House of Peoples and to a violation of Article 1 of Protocol 12 regarding the possiblity to stand for election for the Presidency. 45. (...) The Court notes that this exclusion rule pursued at least one aim which is broadly compatible with the general objectives of the Convention, as reflected in the Preamble to the Convention, namely the restoration of peace. When the impugned constitutional provisions were put in place a very fragile cease-fire was in effect on the ground. The provisions were designed to end a brutal conflict marked by genocide and “ethnic cleansing”. The nature of the conflict was such that the approval of the “constituent peoples” (namely, the Bosniacs, Croats and Serbs) was necessary to ensure peace. This could explain, without necessarily justifying, the absence of representatives of the other communities (such as local Roma and Jewish communities) at the peace negotiations and the participants' preoccupation with effective equality between the “constituent peoples” in the post-conflict society. 46. It is nevertheless the case that the Court is only competent ratione temporis to examine the period after the ratification of the Convention and Protocol No. 1 thereto by Bosnia and Herzegovina. The Court does not need to decide whether the upholding of the contested constitutional provisions after ratification of the Convention could be said to serve a “legitimate aim” since for the reasons set out below the maintenance of the system in any event does not satisfy the requirement of proportionality. 47. To begin with, the Court observes significant positive developments in Bosnia and Herzegovina since the Dayton Peace Agreement. It is true that progress might not always have been consistent and challenges remain (see, for example, the latest progress report on Bosnia and Herzegovina as a potential candidate for EU membership prepared by the European Commission and published on 14 October 2009, SEC/2009/1338). It is nevertheless the case that in 2005 the former parties to the conflict surrendered their control over the armed forces and transformed them into a small, professional force; in 2006 Bosnia and Herzegovina joined NATO's Partnership for Peace; in 2008 it signed and ratified a Stabilisation and Association Agreement with the European Union; in March 2009 it successfully amended the State Constitution for the first time; and it has recently been elected a member of the United Nations Security Council for a two-year term beginning on 1 January 2010. Furthermore, whereas the maintenance of an international administration as an enforcement measure under Chapter VII of the United Nations Charter implies that the situation in the region still constitutes a “threat to international peace and security”, it appears that preparations for the closure of that administration are under way (see a report by Mr Javier Solana, EU High Representative for the Community and Common Foreign and Security Policy, and Mr Olli Rehn, EU Commissioner for Enlargement, on EU's Policy in Bosnia and Herzegovina: The Way Ahead of 10 November 2008, and a report by the International Crisis Group on Bosnia's Incomplete Transition: Between Dayton and Europe of 9 March 2009). 48. In addition, while the Court agrees with the Government that there is no requirement under the Convention to abandon totally the power-sharing mechanisms peculiar to Bosnia and Herzegovina and that the time may still not be ripe for a political system which would be a simple reflection of majority rule, the Opinions of the Venice Commission (see paragraph 22 above) clearly demonstrate that there exist mechanisms of power-sharing which do not automatically lead to the total exclusion of representatives of the other communities. In this connection, it is recalled that the possibility of alternative means achieving the same end is an important factor in this sphere (see Glor v. Switzerland, no. 13444/04, § 94, 30 April 2009). 49. Lastly, by becoming a member of the Council of Europe in 2002 and by ratifying the Convention and the Protocols thereto without reservations, the respondent State has voluntarily agreed to meet the relevant standards. It has specifically undertaken to “review within one year, with the assistance of the European Commission for Democracy through Law (Venice Commission), the electoral legislation in the light of Council of Europe standards, and to revise it where necessary” (see paragraph 21 above). 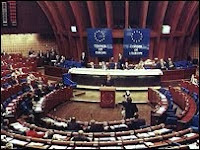 Likewise, by ratifying a Stabilization and Association Agreement with the European Union in 2008, the respondent State committed itself to “amend[ing] electoral legislation regarding members of the Bosnia and Herzegovina Presidency and House of Peoples delegates to ensure full compliance with the European Convention on Human Rights and the Council of Europe post-accession commitments” within one to two years (see paragraph 25 above). 50. Thus, the Court concludes that the applicants' continued ineligibility to stand for election to the House of Peoples of Bosnia and Herzegovina lacks an objective and reasonable justification and has therefore breached Article 14 taken in conjunction with Article 3 of Protocol No. 1. For the applicants the outcome is no doubt good news. As one of them, Mr Finci, told the Bosnian Oslobodenje newspaper: "It has been confirmed that our constitution and electoral system are not in line with the European Human Rights Convention and it is now up to us to correct it." It is to be awaited how the Bosnian political establishment will now react. Although it is technically possible to change the constitution in such a way that the rights of the 'others' in Bosnia are also respected, it remains a politically sensitive issue - to say the least. Tensions have been rising in the past year, not only among the different local politicans, but also between them and the international administration which still holds important powers in Bosnia. Let us hope that the dissenting judges in the ECHR judgment will not see their worst fears - destabilization of Bosnia or worse - come true. This judgment is an inevitable step in the process of the re-instauration of the rule of law in Bosnia - very difficult but crucial. The Amicus Curiae brief of the Venice Commission of the Council of Europe in this case can be found here. See also the summary and analysis of Marko Milanovic on the discussion forum of the European Journal of International Law and reactions there. A press release by Human Rights Watch can be found here. by prof. Dirk Voorhoof, Ghent University Belgium and Copenhagen University, Denmark. Eight years ago British courts decided in favour of a disclosure order in the case of Interbrew SA v. Financial Times and others. The case concerns the order against four newspapers (FT, The Times, The Guardian and The Independent) and the news agency Reuters to deliver up their original copies of a leaked and (apparently) partially forged document by a person X., about a contemplated takeover by Interbrew of SAB (South African Breweries). The International Federation of Journalists protested strongly against the disclosure order in the Interbrew case. “This unprecedented legal assault reflects a starting level of corporate arrogance”, Aidan White, General Secretary of the Brussels based IFJ said (IFJ Press release 24 July 2002, www.ifj.org). According to White “freedom of expression appears to count for nothing as the company wages a private war against the journalists’ right to report”. The IFJ called the disclosure order “a grotesque and outrageous assault on press freedom”, as it posed “a challenge to journalists’ right to report”. In a judgment of 15 December 2009 the European Court of Human Rights (Fourth Section) has now finally come to the conclusion that this disclosure order was a violation of the right of freedom of expression and information, which includes press freedom and the right of protection of journalistic sources as protected by Article 10 of the European Convention of Human Rights. On the basis of a leaked report and further investigations by journalists, the British media in November and December 2001 had reported that Interbrew (now: Anheuser Bush InBev NV), had been plotting a bid for SAB. The media coverage had a clear impact on the market in shares of Interbrew and SAB, Interbrew’s share price decreasing, while both the share price and the volume of SAB’s shares traded had obviously increased. On request of Interbrew, the High Court on 19 December 2001 ordered delivery up of the documents under the so-called Norwich Pharmacal principle. This principle implies that if a person through no fault of his own becomes involved in the wrongdoing of others so as to facilitate that wrongdoing, he comes under a duty to assist the person who has been wronged by giving him full information and disclosing the identity of the wrongdoer. The four newspapers and the news agency were ordered not to alter, deface or dispose or otherwise deal with the documents received by person X. and to deliver up the documents to the Interbrew’s solicitor within 24 hours. The newspapers and Reuters appealed, but the disclosure order was confirmed by the Court of Appeal. In its conclusions the Court of Appeal referred to the European Court’s judgment in the Goodwin case, in which it is pointed out “that freedom of expression constitutes one of he essential foundations of a democratic society” and “protection of journalistic sources is one of the basic conditions for press freedom”. The London Court of Appeal in its judgment of 8 March 2002 emphasized that “the news media, in consequence enjoy in s. 10 of the 1981 Act a high initial level of protection, not in their own but in the public interest”. In the concrete circumstances of the case however, the Court of Appeal came to the conclusion that the order for disclosure was rightly made against all the defendant newspapers and the news agency. In the London Court’s judgment it is emphasized that what matters critically, is the sources evident purpose in this case: “It was on any way a maleficent one, calculated to do harm whether for profit or for spite, and whether to the investing public or Interbrew or both”. The public interest in protecting the source of such a leak was considered not sufficient to withstand the countervailing public interest in letting Interbrew seek justice in the courts against the source. It is also underlined that there is “no public interest in the dissemination of falsehood”, as the judge had found that the document, leaked by person X. to the media, was partially forged. The Court of Appeal said: “While newspapers cannot be asked to guarantee the veracity of everything they report, they in turn have to accept that the public interest in protecting the identity of the source of what they have been told is disinformation may not be great”. Hence the Court of Appeal dismissed the appeals. On 9 July 2002 the House of Lords refused the newspapers’ leave to appeal, following which Interbrew required the newspapers and Reuters to comply with the court order for delivery up of the documents. 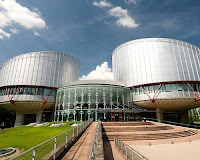 The newspapers and Reuters however have kept on refusing to comply and applied to the European Court of Human Rights, arguing that their rights under Article 10 of the Convention had been violated. The European Court of Human Rights has now unanimously confirmed that the British judicial authorities in the Interbrew case have indeed dramatically neglected the interests related to the protection of journalistic sources, by impertinently overemphasizing the interests and/or arguments in favour of source disclosure. The Court accepts that the disclosure order in the Interbrew case was prescribed by law (Norwich Pharmacal and Section 10 of the Contempt of Court Act 1981) and was intended to protect the rights of others and to prevent the disclosure of information received in confidence, both of which are legitimate aims. The Court however does not consider the disclosure order necessary in a democratic society. First the Court in general terms reiterates that freedom of expression constitutes one of the essential foundations of a democratic society and that, in that context, the safeguards guaranteed to the press are particularly important. The Court states firmly that “protection of journalistic sources is one of the basic conditions for press freedom. Without such protection, sources may be deterred from assisting the press in informing the public on matters of public interest. As a result, the vital “public watchdog” role of the press may be undermined and the ability of the press to provide accurate and reliable reporting may be adversely affected” (§ 59). Having regard to the importance of the protection of journalistic sources for press freedom in a democratic society and the potentially chilling effect that an order for disclosure of a source has on the exercise of that freedom, a disclosure order cannot be compatible with Article 10 unless it is justified by an overriding requirement in the public interest. The Court refers to its case law, as developed since Goodwin v. UK (27 March 1996). The European Court also notes that disclosure orders of journalistic sources have a detrimental impact not only on the source in question, whose identity may be revealed, but also on the newspaper against which the order is directed, whose reputation may be negatively affected in the eyes of future potential sources by the disclosure, and on the members of the public, who have an interest in receiving information imparted through anonymous sources and who are also potential sources themselves. The Courts accepts that it may be true that the public perception of the principle of non-disclosure of sources would suffer no real damage where it was overridden in circumstances where a source was clearly acting in bad faith with a harmful purpose and disclosed intentionally falsified information. However the Court firmly emphasizes that domestic courts should be slow to assume, in the absence of compelling evidence, that these factors are present in any particular case. In any event, given the multiple interests in play, the European Court emphasizes most importantly that “the conduct of the source can never be decisive in determining whether a disclosure order ought to be made but will merely operate as one, albeit important, factor to be taken into consideration in carrying out the balancing exercise required under Article 10 § 2” (§ 63). Applying these principles to the Interbrew case the European Court of Human Rights comes to the conclusion that the British Courts have given too much weight to the alleged bogus character of the leaked document and to the assumption that the source had acted mala fide. While the Court considers that there may be circumstances in which the source's harmful purpose would in itself constitute a relevant and sufficient reason to make a disclosure order, the legal proceedings against the four newspapers and Reuters did not allow X's purpose to be ascertained with the necessary degree of certainty. The Court therefore does not place significant weight on X's alleged purpose in the present case. The Court finally emphasizes the public interest in the protection of journalistic sources. “67. As regards the allegations that the leaked document had been doctored, the Court recalls the duties and responsibilities of journalists to contribute to public debate with accurate and reliable reporting. In assessing whether a disclosure order is justified in cases where the leaked information and subsequent publication are inaccurate, the steps taken by journalists to verify the accuracy of the information may be one of the factors taken into consideration by the courts, although the special nature of the principle of protection of sources means that such steps can never be decisive but must be considered in the context of the case as a whole (..). In any event, the domestic courts reached no conclusion as to whether the leaked document was doctored, the Court of Appeal observing that it had no way of knowing, any more than the applicants, whether X, if cornered, would demonstrate that he had simply assembled authentic documents from different places within Interbrew, GS and Lazards. The Court likewise considers that it has not been established with the necessary degree of certainty that the leaked document was not authentic. The authenticity of the leaked document cannot therefore be seen as an important factor in the present case. 68. It remains to be examined whether, in the particular circumstances of the present case, the interests of Interbrew in identifying and bringing proceedings against X with a view to preventing further dissemination of confidential information and to recovering damages for any loss already sustained are sufficient to override the public interest in the protection of journalistic sources. 69. In this respect, the Court observes at the outset that where an unauthorised leak has occurred, a general risk of future unauthorised leaks will be present in all cases where the leak remains undetected (..). 70. While, unlike the applicant in the Goodwin case, the applicants in the present case were not required to disclose documents which would directly result in the identification of the source but only to disclose documents which might, upon examination, lead to such identification, the Court does not consider this distinction to be crucial. In this regard, the Court emphasises that a chilling effect will arise wherever journalists are seen to assist in the identification of anonymous sources. In the present case, it was sufficient that information or assistance was required under the disclosure order for the purpose of identifying X (..). 71. The Court, accordingly, finds that, as in the Goodwin case, Interbrew's interests in eliminating, by proceedings against X, the threat of damage through future dissemination of confidential information and in obtaining damages for past breaches of confidence were, even if considered cumulatively, insufficient to outweigh the public interest in the protection of journalists' sources”. Accordingly, the Court finds that there has been a violation of Article 10 of the Convention. The judgment of the European Court has a binding character. The consequence is that the refusal by Financial Times, The Guardian, The Times, The Independent and Reuters to deliver up the requested document, undoubtedly finds support in the European Convention of Human Rights. Antoine Buyse is professor of human rights in a multidisciplinary perspective and director of the Netherlands Institute of Human Rights (SIM) at Utrecht University. View full profile here. Please inform the author of this blog of any errors of fact in this blog. Also, if you are the owner of copyright of any of the photos used and wish it to be removed, please inform the author.